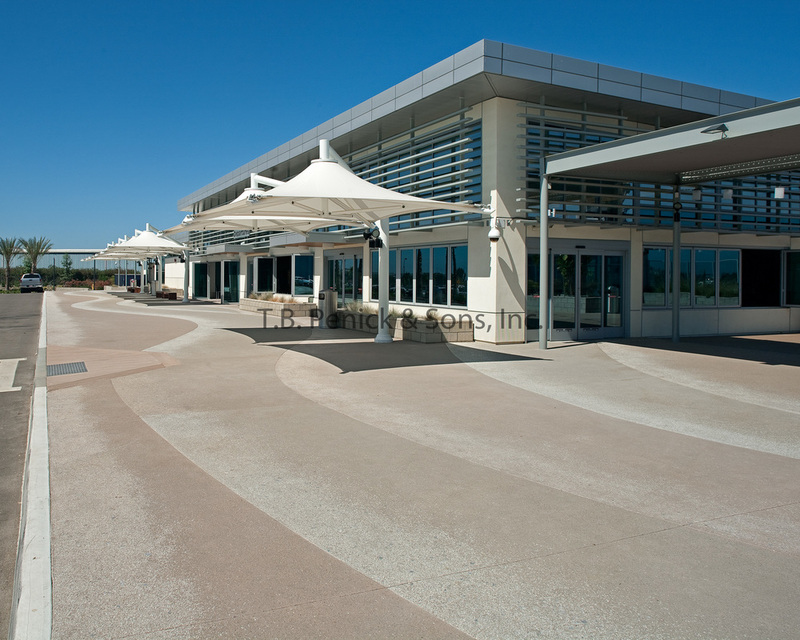 "Gensler designed the new terminal at McClellan-Palomar Airport, north of San Diego. A major design element was the Lithocrete “feature paving,” which flows from curbside to the interior ticketing hall - uniting indoor and outdoor spaces. The quality of the work was exceptional. Penick expertly executed our complex paving design, and the technical expertise they provided early on helped us with things like material selection and specifications so our richly articulated design would succeed."